In an article posted to the Patient Safety & Quality Healthcare blog (Weygandt, 2009), we addressed a critical function for patient safety and quality: accurately communicating clinical information in real time by incorporating the clinical documentation specialist (CDS) as a key member of the clinical team. An expanded CDS role can facilitate improved communication, improve clinical outcomes, achieve more accurate severity adjustment of clinical outcomes, and bring disparate components of clinical documentation into the integrated clinical team. There is no doubt that a CDS can be very effective in patient safety by bringing out conditions missed by physicians. However, physicians have been found to look upon CDSs as people bringing their lapses out or pointing out their deficiencies. Unless the administration is behind CDSs and unless the physicians really want to improve their documentation, CDSs are unwelcome. This comment includes several valid observations. First and foremost, it is an established fact that a CDS can be very effective in patient safety efforts by identifying conditions buried in the electronic medical record or otherwise missed by physicians. It would be unconscionable, therefore, not to establish the necessary infrastructure to assure CDS success. On the other hand, it is true that many physicians resist documentation improvement efforts. 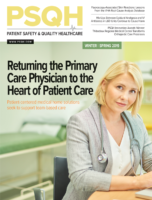 Many see the documentation specialist as yet one more “white-coated nurse” reviewing the quality of care the physician is providing, with the risk, as stated, that physicians feel that the CDS is there to illuminate their lapses and deficiencies. This perspective, in the past, had significant validity since physicians and others viewed the primary focus of clinical documentation improvement to be (hospital) revenue enhancement. Additionally, many regulatory entities, plaintiff’s attorneys, state licensing boards, independent “profiling” entities, state health agencies, and others are measuring, slicing, dicing, and at times mis-representing what physicians “meant to say” in their clinical documentation. Physician resistance to criticism of their clinical documentation therefore is understandable. However, in the past 2 to 3 years, we have witnessed a fundamental change in healthcare reimbursement policy, with greater emphasis on measurement, severity adjustment, compliance with evidence-based guidelines, and early intervention to achieve patient safety goals. Clinical documentation has moved from being an administrative task supporting professional coders to a process tightly interwoven into the core clinical care process. In the following paragraphs, we will address this emerging model, how it addresses physician concerns, and how it supports comprehensive patient safety and quality goals. The CIS focuses on clinical issues of greater breadth than a CDS. The term “clinical integration” is more appropriate since we are rapidly transitioning to a global assessment of quality of care. The CIS is responsible for assuring accurate communication of patient safety metrics, core measures, and clinical diagnoses on a concurrent basis. Leading hospitals are implementing this model first in the emergency department, where the CIS is not only responsible for the above addressed issues, but also medical necessity determinations for appropriate admission versus observation status. The “integration” capacity of the CIS becomes immediately apparent when appropriate admission status can be supported not only through application of InterQual™ criteria, but can be greatly enhanced through documentation improvement, the traditional CDS role. To implement a clinical integration program that establishes a collaborative safety and quality infrastructure, several components are necessary including high-quality, knowledgeable staff; timely intervention; and intervention at the correct site of service. Selection of the best individuals to fulfill the clinical integration specialist role requires assessment of several essential parameters. The most successful CISs are typically very experienced med-surg, emergency department, or ICU nurses. Competency tests for clinical knowledge are often used as a screening device. The CIS must be educated regarding documentation and coding rules, strategies for application of correct terminology, and perhaps most importantly, they must understand the human factors in communicating well with treating physicians and other healthcare professionals. Additionally, based on location within the hospital, the CIS may require additional training in the appropriate application of InterQual™ or other assessment criteria. The timeliness of process intervention has clearly become more critical. Hospitals are increasingly recognizing the need for concurrent patient safety and quality awareness and intervention, as well as prospective prevention of unanticipated complications. The model implemented in many hospitals has been to have documentation specialists review medical records within 24 hours after admission. Clarifying documentation in this manner is certainly better for patients and physicians alike than post-discharge queries, which cannot impact the quality of care provided. A recent issue has been whether even that model is sufficiently “concurrent” for patient safety and quality purposes. For that reason, we recommend first integrating the CIS into the clinical team in the emergency department to assure not only accurate physician documentation, but also accurate documentation and communication of patient safety and clinical quality measures. This expanded role addresses immediate clinical issues in the emergency department (the front door to hospital admission) and provides an excellent template for application of the clinical integration model to support patient safety and clinical quality initiatives throughout the hospital stay. Consider also the benefit to the quality officer or patient safety officer. These members of the clinical team have extensive clinical experience, process knowledge, analytic capability and the ability to design systems to avoid future quality or safety issues. But they, like the physician, face the challenge that they cannot review every component of every record. Such outcome-critical individuals require “discovery” infrastructure, and they should be the direct recipients of information gleaned from multiple sources by the clinical integration specialist. Also, by integrating the CIS into the patient management team, patient safety and quality officers can enhance their awareness of potential problems and opportunities for analysis and intervention in a more timely manner. Even with a clinically trained CIS and leadership support, promoting physician endorsement and adoption of the clinical integration infrastructure requires recognizing that physicians are overburdened with regulatory challenges, put at risk for medical negligence suits (even where care is excellent), paid less for their efforts, and asked to do more—often for purposes that are not directly related to actual clinical quality. Issue: Physicians are overburdened by regulatory challenges. Solution: Provide infrastructure to assist physicians in using terminology to accurately capture severity and protect the physician’s professional reputation (profiling) and income (pay-for-performance). Solution: Physicians are held medical-legally responsible for being knowledgeable of all documentation in the medical record. Problem: no physician has time to review the whole medical record (particularly if electronic). The CIS can protect the physician by making the physician aware of labs, opinions, observations, etc., which are documented in the record by nurses, dietitians, therapists and others, but have not been addressed by the physician. A properly designed clinical integration program decreases physician workload by efficiently and requesting documentation clarification or clinical intervention at the time of care rather than by addressing such issues post-discharge (when, frankly, the physician often cannot recall the patient let alone clinical detail). Beyond the issues of profiling and emerging “pay-for-performance,” the entire care team should focus on actual safety and quality; our patients’ lives are at risk. Properly structured, a clinical integration specialist, embedded in the clinical team and the safety and quality infrastructure, can often assist in interventions before “near misses” or “sentinel events” occur. Assuming one-on-one physician communication has taken place, the next opportunity to assure physician support for a clinical integration program is to assure flawless execution throughout implementation. Important clinical integration program components include: selection of the best candidates for clinical integration staffing, assessment of existing patient care management teams and processes, education of the CIS to meet diverse integration needs of the team, implementation of appropriate communication methodologies (whether in an electronic or paper environment), and perhaps most importantly, developing physician leadership to support clinical integration efforts. Through such collaborative efforts, the patient safety or quality officer can be apprised of quality and risk parameters on a much more timely basis, such that rapid analysis and intervention can be implemented. Paul Weygandt has been the vice president of physician services at J. A. Thomas & Associates in Smyrna, Georgia, since 2005. In that capacity, he has coordinated and delivered policy seminars to hospital and physicians leaders across the country. Weygandt began his career as an orthopedic surgeon. Adding expertise in law and business, he gained experience in hospital and health system management in roles as in-house legal counsel, system executive for managed care, and vice president for medical affairs. As part of a hospital turn-around team, Weygandt implemented a successful example of physician-hospital collaboration resulting in enhanced hospital reimbursement and improved physician clinical profiles. He may be contacted at paul.weygandt@JATHOMAS.COM. Melinda Tully has more than 25 years of experience in acute care as a clinical nurse specialist and nurse practitioner. She is currently senior vice president for clinical services and education at J. A. Thomas & Associates, Inc. Tully received her MSN from Emory University in Atlanta, Georgia. She is a recognized national speaker for compliance, clinical documentation improvement, and patient safety and quality initiatives. She is a client advocate and excels at presenting and providing client customized services that focus on improving quality and patient safety through a clinically integrated model of RN documentation specialists, physicians, and other clinical disciplines. Tully is a nationally certified Clinical Documentation Specialist through the Association of Clinical Documentation Specialists. Andrew Dombro is currently the national medical director of J.A. Thomas & Associates, headquartered in Atlanta, Georgia. J.A. Thomas specializes in clinical documentation improvement and hospital compliance. Dombro is board-certified in internal medicine with the main focus of his clinical career as a hospitalist, most recently in a large academic center. In his current role, Dombro blends his clinical, interactive, and management skills to develop, coordinate, and deliver presentations to physician groups and hospital administration, while also providing strategic guidance on matters of clinical documentation and compliance. He has also presented educational sessions at regional HFMA meetings, state medical association conferences, national hospitalist meetings, and other national organization conferences.